Provide comfort for the family of Marilyn Bohannan with a meaningful gesture of sympathy. 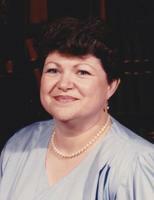 Service for Marilyn Wallace Bohannan 74, of Grandview, will be conducted 11:00 A.M., Monday, February 18, 2019 at Grace Baptist Church Grandview. Pastor Philip Garvin will officiate. Burial will follow in the Grandview Cemetery. Visitation will be 10:00 A.M. Monday at the church prior to the service. Marilyn Wallace Bohannan went to be with the Lord on Valentine’s Day. She was born March 3, 1944 in Cleburne to Cecil and O.Z. (Newsom) Wallace. Marilyn married Lloyd Bohannan on June 10, 1972 in Grandview. She was a teacher on the Navajo reservation and Grandview schools. and was appreciated by all the community. Marilyn is survived by husband Lloyd Bohannan; brother, Jimmy Ned Wallace and wife Patricia, sister Bobbie Jane Mosley; brother, Wade Wallace and wife Diann; and numerous nieces, nephews and cousins. She was preceded in death by her parents and sister Judith Cecilia Campbell. To send flowers in memory of Marilyn Bohannan (Wallace), please visit our Heartfelt Sympathies Store. Provide comfort for the family of Marilyn Bohannan (Wallace) by sending flowers. My condolences to the Bohannan family during this difficult time. In the Bible, Jehovah God gives us hope. Acts 24:15 says, “there is going to be a resurrection of both the righteous and the unrighteous.” Revelation 21:4 says, “and he will wipe out every tear from their eyes and death will be no more.” Very soon we will see the fulfillment of these promises here on Earth. We hope you find comfort in God’s promises.